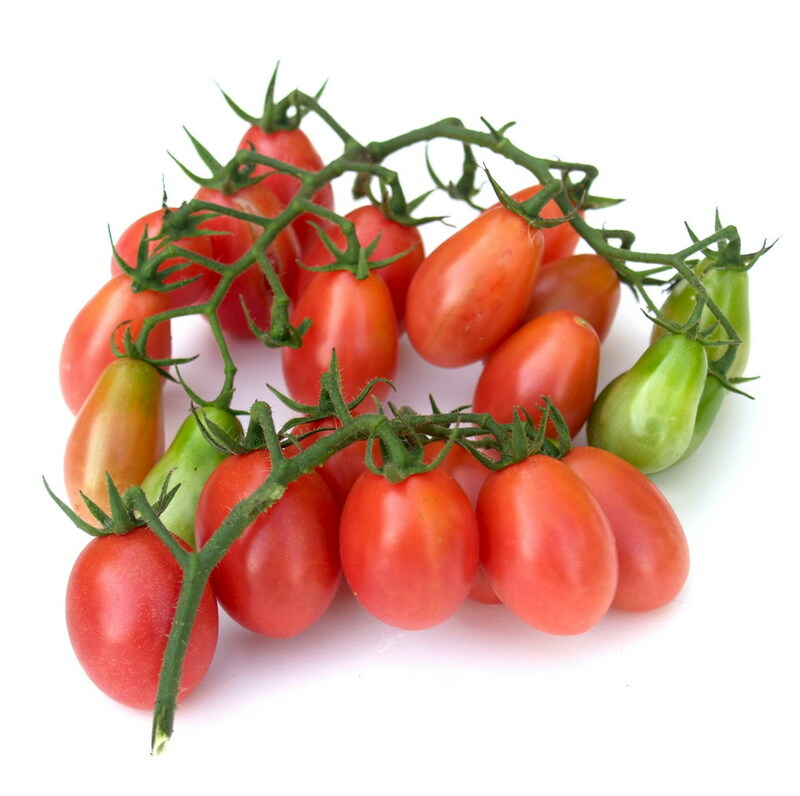 The Tasteful Garden’s easy-to-grow organic rosalita grape heirloom tomatoes ($5.95 per plant). This and all accompanying photos courtesy of The Tasteful Garden. Garden Variety talks the business of organics with Cindy Martin of The Tasteful Garden, a specialty grower and online shop in Heflin, Ala., that has been offering organic edible plants long before they became wildly popular. Nearly twenty years ago, before organic offerings were commonly found everywhere from mom-and-pop nurseries to large garden centers—before, in fact, most popular seed catalogs jumped on the bandwagon—Cindy Martin and her husband, George, owners of The Tasteful Garden, were selling healthy and hardy kitchen garden plants grown organically from non-G.M.O. (genetically modified organism) seeds without the use of toxic chemicals and harmful pesticides. With a winning combination of passion and know-how, they produce USDA-certified organic vegetables and herbs, including heirloom tomatoes, quietly providing gardeners and cooks with a leading go-to resource of superior natural alternatives to conventionally grown edibles. Here, Cindy Martin candidly discusses organics, heirlooms and what separates their operation from the pack. George and Cindy Martin, owners of The Tasteful Garden. Q. Why did you decide to focus on organic plants? A. The Tasteful Garden has been growing organically from day one. Since we knew we were going to be selling edible products, it never occurred to us to use any non-organic products in our growing operation. Our business started many years ago in California selling primarily at local Farmer’s Markets, including the famous Santa Monica Market, one of the original farmers markets started back in the ’70s. When we transitioned to Alabama and started selling primarily from our website and shipping all over the US, we marketed our products to foodies and food gardeners. I am an avid cook, so for me, vegetables, herbs and fruits from the garden have to be grown organically to have the best flavors. For us, improving the soil condition with good compost created from barn waste from our farm is key to growing vegetables with great flavor. While other nursery operations may spray their tomato and vegetable starts, we always felt that because our goal was to provide healthy, flavorful food products, we would never introduce chemicals to that mix. While the certification process was lengthy because it took the USDA years to certify us as organic in Alabama, we never needed to change anything about the way we grew our plants. We just continued to do what we had done from the beginning. 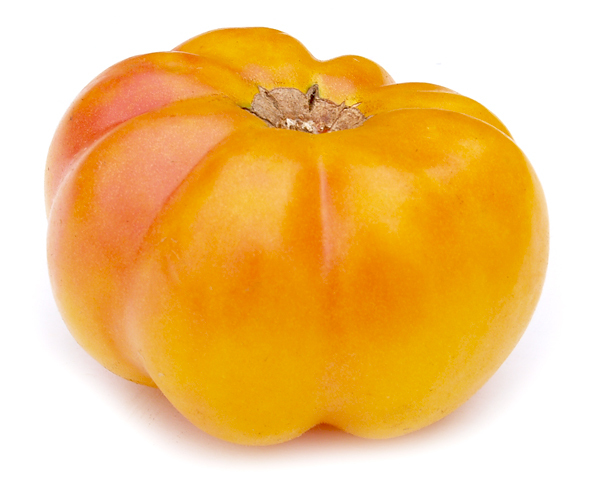 Marvel Stripe, a sweet and juicy yellow-orange beefsteak heirloom tomato. Q. What is it about heirloom tomatoes that makes them so special? A. If you have to ask that question, you haven’t eaten one! I’ve eaten tomatoes all my life, but the first time I had an heirloom tomato, I felt it was the first tomato I had ever eaten. When you bite into one, you hum. That’s when we really came up with our tag line “…it’s all about the flavor” because we realized that we had something special in the heirlooms that no one else was selling: real flavor! We tested and tried several old varieties and discovered that almost all of them had flavor that was far superior to regular hybrid tomatoes. Of course, any backyard tomato far exceeds store-bought “tomatoes” as the sugars are fully developed in your garden instead of in a refrigerator but the heirlooms just had that extra punch of acidity and sweetness that a “Better Boy” just can’t match. They may be less productive and susceptible to diseases but they are so worth it. 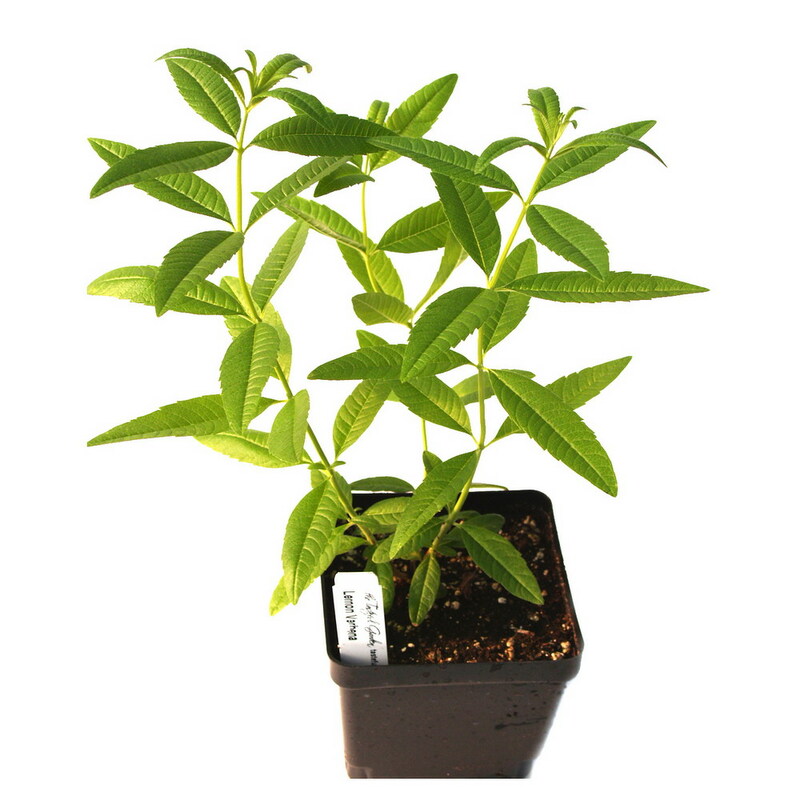 Lemon Verbena, a tender shrub and herb with fragrant lemony leaves perfect for a cook’s kitchen. Q. How is The Tasteful Garden different than other providers of live plants? A. We never really intended to be a plant nursery. When we started in 1995, our plan was to grow herbs for restaurant sales. We had difficulty breaking into that industry because of a lack of growing space. Well, one thing led to another and the farmer’s markets drew us in, made us feel very welcome, and changed our business plan literally overnight. We are big food lovers so it was a natural transition and being around all those great veggies every day encouraged us to branch out into heirloom tomatoes, peppers, vegetables and fruits. We now carry the largest collection of edible plants anywhere, al chosen for the flavor first, ease of growing second and production third. Most growers reverse those priorities and many never get to the flavor part at all. When it comes to garden products, most other providers sell every kind of chemical known to man, which kills everything in the garden that moves. You know, that awful smell you get when you walk into garden centers and make it to the pesticide department…we don’t have that. We have always sold only organic products and in the beginning they were very hard to find but now we have one of the best selections of organic products, even organic potting soil, that we can ship anywhere. It is harder than it seems to keep over a hundred plant varieties ready every week, all season long. Our plants are grown by people that love them and care for them and make sure they are healthy, happy and strong enough to go right into your garden when they arrive. That takes a lot of work and dedication. We are also able to schedule our plantings so that all of our plants are available throughout the entire growing season, meaning customers don’t have to worry that we won’t deliver on time. You can choose your best shipping date online from our store and we ship them at the perfect time for you to plant. Our plants have always been guaranteed to arrive safely or we replace them immediately. Customer service is a huge thing for us, so we work very hard to make sure everyone is well taken care of. 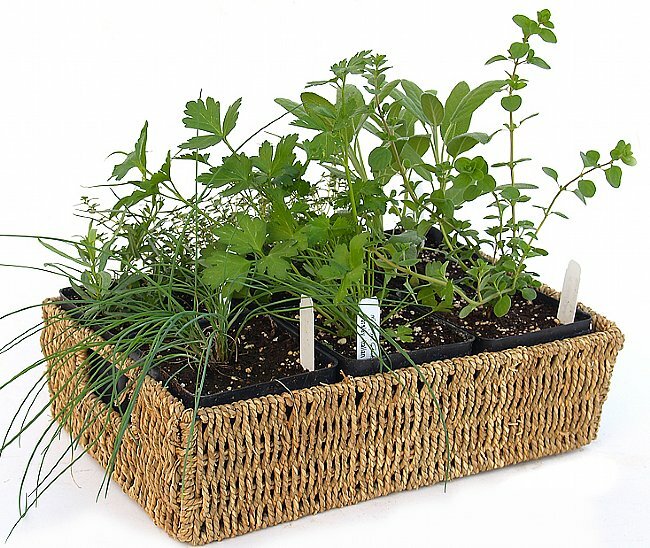 Herbal 6 Plant Rope Basket, one of the many herb plants, gift baskets and growing kits the grower offers. To learn more about The Tasteful Garden’s USDA Organic and Non-GMO Project Verified plants, as well as its hand-picked selection of organic garden supplies and tools (plus, a library of tips for growing organic vegetables and herbs), visit tastefulgarden.com. This entry was posted in Garden, Uncategorized and tagged Alabama organic, G.M.O., garden, gardens, genetically modified organisms, GMO, heriloom tomatoes, Non-GMO Project, organic, organic herbs, organic plants, organic tomatoes, organic vegetables, The Tasteful Garden, USDA Organic. Bookmark the permalink.